Hello ladies and gentlemen around the world, and welcome to my ISSA review. 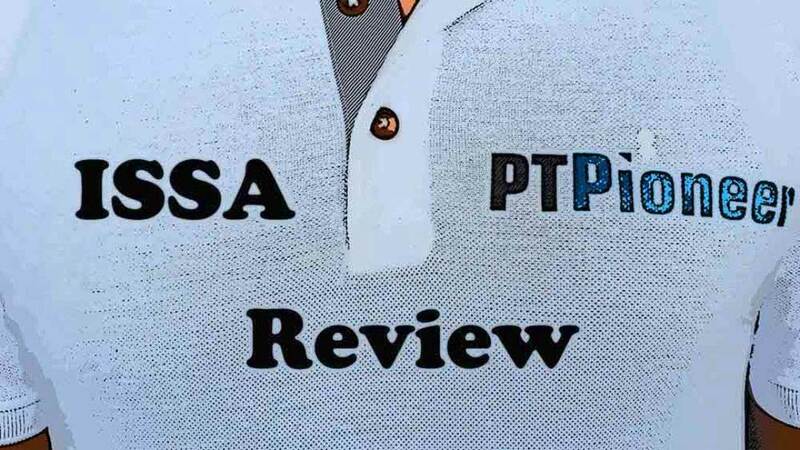 The goal of this review is to help you figure out whether this is the right PT certification for you and your training style and purposes. Let’s get into some quick pros and cons before we get started in the full review. After the review, if you think this might be a good option for you, check out the ISSA site. I also recommend checking out my must-read article on the top 5 personal trainer certifications! If you like comparison articles I suggest checking out my ISSA vs ACE and my ISSA vs NASM articles as well. Make sure to leave me a comment at the end if you have any questions. Let’s get right into this ISSA review! ISSA is distinctly different from most other personal training certifications. Almost everything for the certification is done online. This is also one of the few certifications that can be completed outside of the United States. I like to call this certification the international certification. I even know some friends and Brazil that are certified with ISSA. Another cool feature that ISSA offers is a free retest in case you do not pass it the first time around. Other certifications will often charge a hefty retest fee, sometimes as much as $200. From the time that you purchase the ISSA certification, you receive two whole years to study for and take the test. Other certifying agencies only offer 90 days from the time of purchase. I think this is an excellent certification for trainers that are just starting out in the industry because a lot of times three months is not nearly enough time to study for an entire program. I would categorize ISSA as a “general certification” because it does not dive into any specific area in-depth, but it does build a strong base for any personal trainer starting out. ISSA does an excellent job of teaching the basics of exercise science and this is exactly what you need from the general CPT certification. Later on down the road if you want to specialize there are plenty specialization certifications to choose from. ISSA was founded in 1988. Their general certification package costs $599. This price gets cut by a hundred dollars quite frequently, though. Make sure to look out for holiday deals that mark it down to $499. Although prices change from time to time, you can check out the current price here. For this price, you will receive entrance to their examination, their primary textbook, and multiple online training resources. One thing to notice is that you get the full hard copy of their textbook when you purchase ISSA. A lot of other agencies will only give you an e-book unless you purchased their more expensive package. I personally love having the physical textbook while studying which is a big plus with ISSA. With the ISSA package, you also receive practice exams and quizzes for each chapter, a DVD guide exercise reference, participation in an online student forum, an online exercise lab (with three-dimensional animated exercises), unlimited educational support and a marketing and business guide. Out of all of the study materials, I thought the most helpful was the access to educational support and the marketing and business guide. If you have any question about complicated topics you can simply reach out to the support team and receive a fantastic answer from one of their professionals. A lot of people don’t really talk about the marketing and business aspect of running a personal training business. This guide was extremely helpful especially if you are planning to make training a full-time business and want to make as much money as you can. Their study materials change from time to time, you can check out the full list of study materials here. ISSA is not accredited by the NCCA. The DETC (now the DEAC), however, accredits them. In my opinion, both of these accreditation agencies are legitimate. Although years ago some people thought that the NCCA accredited certifications were superior, that is no longer the case. Every gymnasium that I talked to accepts DEAC accredited certifications and a lot of them prefer ISSA. Similar to most other certifications, you need to be at least 18 years old, have a high school diploma and have a current CPR/AED card. Since I am assuming you are just starting out, I suggest you check out my top 5 certifications article as well as my giant guide to becoming a fitness instructor. Also, check out how much money you could make as a personal trainer! When you are done, make sure to check out the ISSA website here for the most current information and prices. The test is unique compared to other certifying agencies. There are four sections that you must go through. There is a true/false section, a multiple-choice section, six short essay questions, and two case studies. Most certifying agencies do not have any written portion to their tests. By far the hardest section to pass is the two case studies. For this section, you will need to study the Program Design and Special Populations portions of the textbook extensively. For the true-false and multiple-choice section, you will be asked approximately 160 questions. You need to score a 75% on this section. You will be required to write out a 12-week progressive exercise routine for two individuals that have varying needs and goals. You will need to receive at least 75% in each of the four categories to pass. It tests your knowledge of the subject and includes real-life examples of working with clients. Although the test is open book, it really makes you think out a variety of different situations which I thought was very helpful for real-world training. The fact that you have to design full programs for people that get graded was a very unique experience and very rewarding. You will also need to receive a score of 75% overall. ISSA is an open book test which makes the passing rate higher than most other certifications at 90% compared to the industry standard of around 70%. Make sure to highlight essential sections as well as use sticky notes so that you can quickly reference these sections. I like that the test is more than just the certifying agencies that the multiple-choice only such as NASM or ACE. If you happen not to pass on the first try you will get a completely free second attempt at the test. If you don’t pass on the second time around you will have to pay $50 for your third attempt. But don’t worry, I’m sure almost 100% of the people will pass on the second try. As with most other certifications, you need to get recertified every two years. To do this, you need to show proof of continuing education in one form or another. The cost to recertify with ISSA is $75. This is one of the cheapest options in the industry where people typically charge over $100 to get recertified. Common ways to get the necessary continuing education credits is to attend a workshop in a city close to you. Most certifying agencies also offer additional credentials or certifications that will count towards continuing education. Check out the continuing education materials provided by ISSA here. ISSA covers the business aspect of their certification very thoroughly. They help their trainers achieve a high level of professionalism and success. 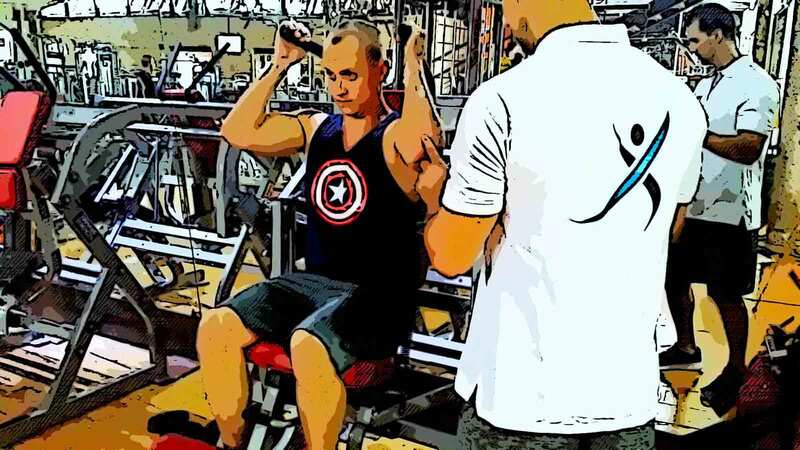 Although most personal trainers start out by working at a commercial gym, you can be much more successful and make a better salary by working for yourself. I also like how their test has four different sections that you need to pass. If the test weren’t open book, it would be much, much harder to pass than any other certification. Make sure to check out the ISSA website for more information! I have no problem with the fact that they are not accredited by the NCCA due to the fact that every gym owner or a major corporation that I know will accept DEAC accredited certifications and some even prefer that their trainers are certified by ISSA. ISSA is a perfect choice for CPT certification overall and a great international option as well. What you should do is contact the gymnasium you would like to work at and find out which certifications they prefer, and whether or not they accept ISSA. I put ISSA in my top three personal training certifications alongside the NASM and ACE certifications. I think ISSA has some strong competition when it comes to the NASM and ACE certifying bodies. That being said, I still feel the ISSA certification is a fantastic choice, and I recommend it to anyone who wants to get started as a personal trainer! I hope this review helped you learned something valuable about ISSA. Make sure to check out my comparison section for head to head articles such as ISSA vs NSCA, ISSA vs NASM and ISSA vs ACE. Let me know what you think in the comment section down below! I hope everything on my site helped you a lot in choosing the right personal training certification for you. Good luck on your studying and with the training you will be doing in the future! Everything you are stating about this certification I wholeheartedly agree with. I was informed of me passing the ISSA Personal Trainer Certification on the 14th of this month. I have test anxiety really bad and that was one of the main reason why I chose this certification. However, I have my Bachelors in Health and Wellness and was able to use what I have learned to assist me with the exam. I also took what I have learned while going through the exam to test myself. Each chapter I would quiz myself before taking the quiz and reading the materials to see how much I had retained. I did that for every chapter which helped me to see where my areas of weakness were. The case studies by far were a challenge, but again it tested my knowledge to the utmost. Again, the information here is on point, thanks! I’m glad that you liked my review and agreed with a lot of my points. A lot of people have test anxiety and it is one of the reasons I recommend ISSA. I’m glad that you are able to get through it and are now a certified trainer so that you can begin your career helping others! Thank you for the genuine feedback and I wish you all luck! Can you tell use a bit about the Issa instructor guided course? Is it worth spending the extra money? Yeah I think it can be worth it for some people that like to have a better explanation of the material. What type of learner are you? Do you do good studying right out of the ISSA textbook? If not, this can be a big help overall.